Chris Giwa has insisted that he will not give up his claim to be Nigeria Football Federation president. This is despite a Fifa ultimatum that Nigeria will be suspended from global football on Monday unless he gives up his assertion. Football's world governing body does not recognise the election of Giwa on 26 August. "I remain the president of the NFF, a legitimate congress elected me and that is how it is," Giwa told BBC Sport. "What I have said [at a public hearing] is that anyone that is aggrieved has the right to appeal to the NFF appeal committee. "If an appeal committee or the Court of Arbitration for Sport sits today and quashes my election, I will humbly vacate office." Should Giwa refuse to leave and the ban come into force on Monday it means the African champions would not be able to play their Africa Cup of Nations qualifier on 10 September in South Africa. The Confederation of African Football says if the Super Eagles miss that match they would be disqualified from the qualifying campaign. 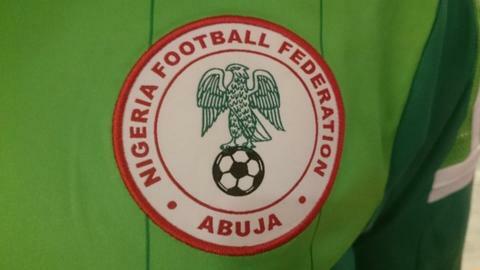 The ban will only be lifted when the NFF board as it stood on 25 August, with Aminu Maigari as president, is allowed back to its offices to work. Maigari's board met in the Nigerian capital Abuja on Thursday to adopt a new roadmap leading to the NFF elections as directed by Fifa. Nigeria were banned from global football for nine days in July for government interference in the running of the football federation when Maigari was forced out of his post by a court ruling. After his reinstatement, he was voted out of office by the NFF's executive committee a few days later. However, Fifa did not accept this and Maigari was once again back as president in August.